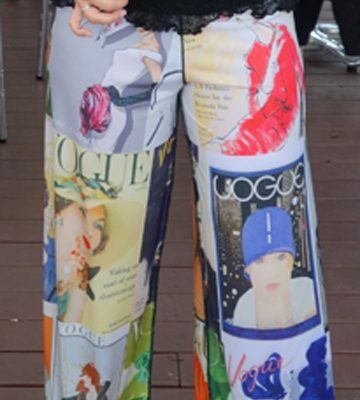 These gorgeous sublimated print palazzo pants with red, turquoise and gold abstract lava-lamp design are just wonderful and attention drawing. Who wants to blend in with the surroundings? You will enjoy compliments every time you wear them! The fabric feels terrific too, very soft and comfortable…fabulous travel pants. Soft band sits just below the waistline, holding the pants comfortably in place. Designed in Miami, made in the USA.